"You got a scoop?" 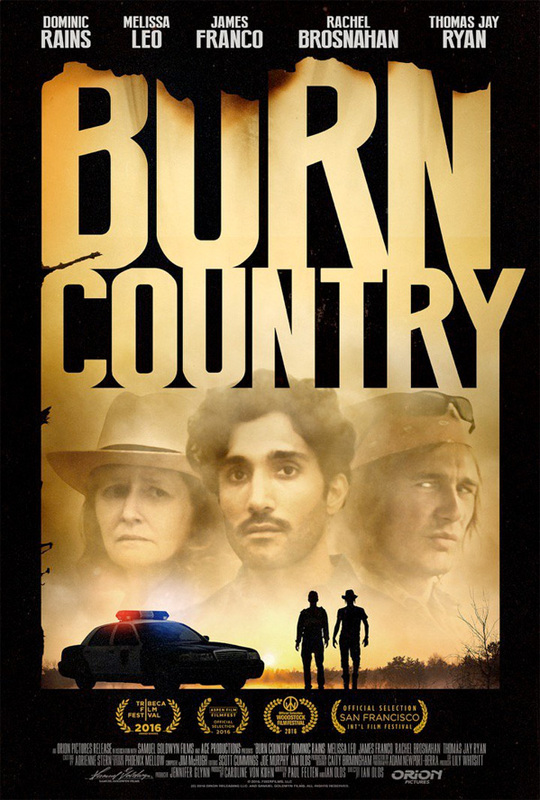 Samuel Goldwyn has debuted a trailer for an indie drama titled Burn Country, which premiered at Tribeca earlier this year. The film is a fictional feature version of a real-life story of a "fixer" journalist from Afghanistan who decides to move to a town on the coast in Northern California. However, once he begins working at a newspaper there he gets drawn into the strange "backwoods of this small town", stumbling into local corruption and other dangers. Iranian actor Dominic Rains stars as Osman, and the cast includes Melissa Leo, James Franco, Rachel Brosnahan, Thomas Jay Ryan, Tim Kniffin, and James Oliver Wheatley. This looks damn good, like it offers a unique perspective not often seen on film. After being exiled from Afghanistan, a former war journalist (Dominic Rains) who worked as a fixer in his home country settles in a small town in Northern California and takes a job with a local newspaper. But when he attempts to cover local crime, he stumbles into local corruption that puts himself and others in danger. Burn Country (formerly titled The Fixer) is directed by filmmaker Ian Olds, making his feature debut after a few documentaries and short films previously. He actually made a doc telling the real story in this film, titled Fixer: The Taking of Ajmal Naqshbandi. The screenplay is co-written by Ian Olds & Paul Felten. This first premiered at the Tribeca Film Festival, and also played the Newport Beach Film Festival. Burn Country opens in select theaters + on VOD starting December 9th this fall. Curious about this film? Nice. Poster giving me NO COUNTRY FOR OLD MEN vibez.